Petmed is a specialist provider of pet insurance. The table below displays a snapshot of pet insurance policies with accident and illness cover on Canstar’s database with links to Petmed’s website, sorted by Star Rating (highest to lowest). These results are based on cover for a one-year-old medium dog breed. What types of pet insurance does Petmed offer? Petmed offers two main types of pet insurance – ‘Young Pets’ cover, and ‘Seniors’ cover. It also offers the option to add ‘Wellness Care’ or Routine Care Cover to any consumers who take out cover, for only $5/month. What breed of pets does Petmed pet insurance cover? The Petmed pet insurance policy only covers domestic cats and dogs. However, if it believes that your cat or dog is unlawfully kept (for example, security dogs or racing greyhounds), it has the right to refuse cover. How do you take out pet insurance from Petmed? You can purchase a Petmed pet insurance policy, either online, or over-the phone by calling call Petmed on 1300 732 172. It takes less than 10 minutes to receive a quote online. What is not covered by Petmed pet insurance? Petmed expressly lists some illnesses and injuries as exclusions that are not covered by its pet insurance. 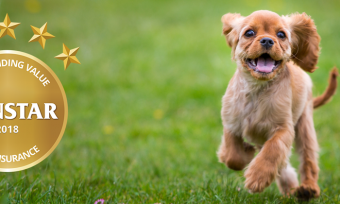 Day-to-day care – Petmed won’t cover the regular day-to-day expenses of owning a pet, which can include: regular or dietary pet food, vaccinations, micro chipping, flea/worm control, shampoo, collars/leads and dog beds, etc. Breeding – If you have bought dogs or cats with the specific purpose of breeding them, Petmed won’t cover any injuries or conditions that arise as a result. Dental care – This can include dental procedures, gingivitis and treatment of diseases or fractures, teeth cleaning or teeth removal. Failure to take care – Petmed won’t cover any treatment of conditions caused either deliberately or negligently, by you towards your pet. A few examples of this include leaving the gate open, forgetting to feed your pet, the ingestion of hazardous substances and an unsafe living area. What is the age limit for pets covered by Petmed pet insurance? Petmed actually has no age limit for its Senior Pet Cover option. Its Young Pet Cover options specify dogs and cats must be between eight weeks and nine years old when insured. You can find more details about this in the Product Disclosure Statement. Do I have to provide medical records to take out Petmed pet insurance? Every pet insurance provider is different, and while many don’t require medical records, you may be asked a few questions upon application. These are usually to determine any pre-existing conditions your pet may have, and whether they will be covered under your policy. Does Petmed give me the option to visit my vet of choice? Yes, Petmed allows you to use any veterinarian that you prefer, provided they are licensed to legally practise in Australia. 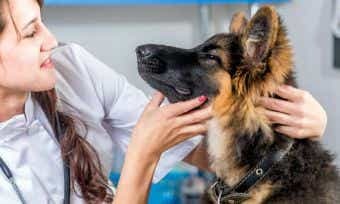 Does Petmed place an annual benefit limit on pet insurance claims? Yes, it does. The Young Pet Cover lets you choose from an annual benefit limit of either $5,000, $12,000 or $18,000. The Senior Pet Cover lets you choose from either $5,000, $10,000 or $15,000. The annual benefit limit you choose for your pet will be kept for life (unless you want to change it). The annual benefit limit and claim terms and conditions for Petmed’s pet insurance is outlined in the Product Disclosure Statement. Find out more about pet insurance benefit limits and how much you can claim here. What percentage of vet fees are reimbursed by Petmed? The Petmed Young Pet Cover allows you to choose reimbursement of either 65% or 80% of your vet costs. Choosing 65% will lower the reimbursement you receive but it will also lower your premium costs, so it is the ideal option for a healthy pet and peace of mind. It is entirely up to you to decide what reimbursement percentage you would like. The Petmed Senior Pet Cover will reimburse you 65% of your costs. How do you lodge a claim with Petmed? You can lodge a claim with Petmed by completing and submitting a pet insurance claim form, which can be found online. You must submit the claim within 90 days of the appointment or when the treatment was received and make sure you bring the claim form to the appointment with you as the vet has to fill out a section and sign it. How do you renew your pet insurance with Petmed? Your Petmed pet insurance policy will automatically renew if you choose not to alter or cancel it after receiving your renewal notice. If you’re not sure whether to renew or switch, here’s our guide to renewing your pet insurance policy. Petmed has been helping Australian pets for over 20 years and is one of Australia’s oldest pet insurance companies. 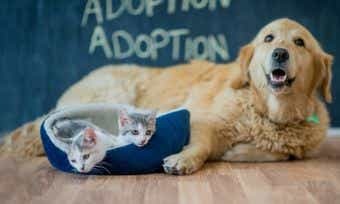 It believes that all pets deserve to be covered, which is why it introduced a policy specifically for Senior Pets aged over nine years. All of Petmed’s members receive free pet health reports for their breed of dog or cat, which helps to educate you on related illnesses, statistics and what to do in case of an emergency.